With CD sales sliding, “I tried my hardest to come up with a new model, and we were making a lot of headway with it before the holidays,” said Virgin Entertainment Group North America CEO Simon Wright. 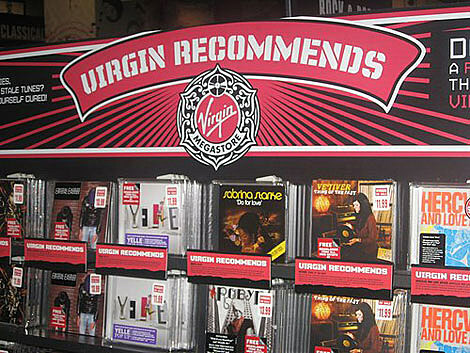 Virgin outlasted HMV and W.H. Smith, with the former pulling out in 2004 and the latter selling out to Camelot Music in 1998. But Virgin couldn’t withstand the combined blows of big-box loss leaders, chain-store exclusive releases and digital cannibalization.